Product #17567 | SKU R15-C | 0.0 (no ratings yet) Thanks for your rating! When you need to extend the length of your Tilta 15mm rods, you need the Tilta Single Rod Connector for 15mm Rods. It is specifically threaded to work with 15mm Tilta rods, providing a solid connection between two rods. 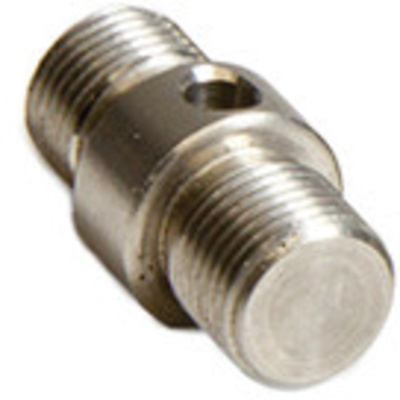 The connector fits snugly into your rods, and in the event of difficulty in removing the connector, two built-in indents on the connector allow you to insert a variety of items to gain the leverage to loosen the connector. This avoids risking damaging the surface of the connector by using pliers to loosen the connector. However, remember to use caution when tightening or loosening the connector with any tool other than your hand.